What do you think of when you hear the word ‘accountability’? Do you think about ‘being held accountable for something’ in its negative connotation? What about ‘accountability partners’? Is it possible there is a better way to think and live accountability? Our next guest passionately embraces the tenet that values are what a relationship is built upon and that is what drives accountability. Join Host, Mike Domitrz as he welcomes Author, Speaker, Consultant, and his personal confidante, Sam Silverstein to the podcast. Sam redefines accountability as a spiritual, values-based principle and describes the importance of understanding your non-negotiables so you can align with people who share similar values. [2:38] How does accountability fit in line with mindfulness? [5:19] Old-school accountability versus spiritual accountability, what’s the difference? [19:29] Aligning with those who share similar values. [24:24] Understanding what is non-negotiable; Sam describes his book. [28:00] The greatest misconception about accountability. Introduction: Welcome to The Everyday Mindfulness Show. The off the cuff exploration of every day, aha moments and life experiences. Join a cast of over 70 uniquely brilliant individuals. Each week, Mike Domitrz, and an eclectic mix of cast members and special guests. We’ll engage in mindful and lively conversations about everything, from meditation to spirituality to personal passions to successes and failures to relationships to the stuff that makes up the moments of our daily lives. Let’s get started with your host. Author, speaker, provocateur, and a bit of a goofball, Mike Domitrz. Mike Domitrz: This week’s episode is sponsored by the book, Can I Kiss You? And the instructor’s guide of Can I Kiss You? For many listeners know this is the book that I wrote last year, came out. We were thrilled because it went number one on Amazon for teen and young adult dating, and it is filled, just packed, with how-to skill sets for anyone to read at any age. We used to have a certain age group of people, so we stopped doing that. I have a middle schooler that I want to read this book. Or I’m 45 single, I need to read this book. And we have people who are married and go, “It’s helped change my relationship.” And that’s why we’re excited that this is this week’s sponsor. The Can I Kiss You book. And if you’re a teacher, the instructor’s guide. 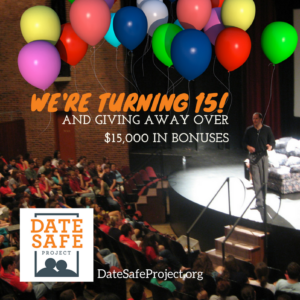 You can find both at datesafeproject.org. Or you can call Rita in our offices at 800-329-9390. That’s this week’s sponsor. Welcome to Everyday Mindfulness, and yes I’m your host, Mike Domitrz, and super excited this week because I have someone on that is truly special to me in my life. Not just professionally, but personally. One of my closest confidants in life, person I turn to whether it’s most excited about something, or something I’m really struggling with. A closest of friends, and that is Sam Silverstein. And for those who don’t know Sam Silverstein, he is the person when it comes to accountability. And we’re gonna get into that a little bit later cause he’s gonna tell you there’s so much more than just accountability within that. And we’ll talk about that. But right now I want you to meet, the closest of my friends, one of my dearest and best friends, Sam Silverstein. Sam thank you so much for joining me. Sam Silverstein: Hey Mike. It’s great to be here. So Sam let’s get right into it because you travel the world helping corporations and organizations and individuals deal with accountability in their lives. And the reason I think this ties in so well … well I don’t even wanna say why I think it ties in with mindfulness. I want you to just drive that. How does accountability fit in line with mindfulness Sam? Sam Silverstein: Wow, that’s a great question. You know, I’ve never looked at it through the lens of that question before. But as you ask that question, some things are really crystallizing in my mind because as you know, I’m doing deep dive research into mindfulness, and actually have a retreat coming up, and it’s part of a three year process where I want to be able to lead discussions and conversations in specific areas of mindfulness. And it connects to everything I do in accountability because accountability is not a way of doing. It’s a way of thinking. And people think of accountability traditionally as doing stuff. Gotta get this done. I, you know … the report’s due at three. And that’s just … that’s not what accountability really is in its core sense. Accountability has to do with keeping your commitments to people. Those commitments are tied to values. Values are a way of believing. And accountability is a way of thinking. It’s a way of thinking about people. It’s a way of thinking about relationships. And so mindfulness is all about an awareness of what’s going on in your life at that moment. The decisions that you’re processing, and really a nonjudgmental awareness. And so there’s really a strong connection there between the idea, the concept, of mindfulness. Of that awareness of what you’re thinking and how you’re reacting to a situation. Of slowing down a situation, and reacting in a way that you would be proud afterwards. And that connects directly to accountability, which is gonna always be about relationships, and between people. And so it’s a real deeper connection than most people probably understand on the surface, and that’s part of what I do. It’s trying to get people to understand accountability from a new vantage point. And I just think of it in the old school way. Mike Domitrz: Yeah. Let’s talk about that. Because the old school way … and you … what I’ve always loved about Sam, the way you approach it is, the old school way is that people think accountability means I hold you accountable. Or I help hold that person accountable. Or they help me accountable. Or even I have this system to hold myself accountable. Is about holding accountable versus being in a belief system of accountability, which is what you just referenced. That’s not what they really are. Explain the huge difference in the concept of accountability and I hold you accountable, you hold me accountable, and what you’re talking about. Sam Silverstein: The old expression of holding someone accountable is you know, it’s like putting a gun to their head. And so, when people talk about holding people accountable, when people in business say, “I’m gonna hold you accountable. I’m gonna hold them accountable.” That’s about me. You’re coming to work for me blah blah blah blah blah. I’m gonna hold you accountable. Well that’s about me. It’s about my gain. It’s about my personal reward, and that’s just … that’s archaic. If I’m gonna help you be accountable, then what it is I’m really trying to do is I’m helping you be successful. I’m helping you achieve the goals that you set for yourself. I want success for you. And as a leader, that’s really how it should be because if I help you be successful, then the back end is ultimately I’m gonna be successful in that process. And so one way is I’m focused on me, and one way is I’m focused on you. But I see accountability really as a spiritual concept, and it’s not a tactical concept. And I see it all the time in organizations. There are some organizations where there’s a tremendously high degree of accountability, and then there’s some where it lacks accountability tremendously. And usually I can predict which ones are which. Organizations that have great relationships, accountability is gonna be high. Organizations that have great relationships, probably you’re gonna find communication among people is pretty high. Mike Domitrz: So I wanna pause there. I wanna pause there, Sam. So I wanna take it from the organizational level, cause this is great stuff, and take it to the individual level. So, when we say accountability, it’s … what I used to love that you once said to me was, accountability is that I believe in something so much that no one needs to hold me accountable. That I want to do that. That I want to achieve all those goals because I believe so whole heartedly in the mission, which really is in line with mindfulness. Right? That if you have intention, that you don’t need accountability if you’re in line with the mission, and you’re working to achieve the mission. You believe in it fully. Am I getting that correct? Sam Silverstein: That’s the key is … you know, I said accountability is key in your commitments to people. And so, but those commitments are connected to a set of values. And those values, that’s what you just described and what you believe so much. It’s about living those values, and the companies, the organizational values. But between you and me Mike, as friends, as brothers, it’s the values that we hold dear in our heart. And so it’s those values that I have, and that you have. I would never want to let you down. I would never want to disappoint you. I would never want to come up short, because those values. And even … and that’s what connects us Mike. It’s not what we … we believe different things about a lot of different subjects. Any two people will. But our values align. Our values connect. It’s the values that our relationship is built on, and that’s what’s driving our accountability. It’s I know what your values are. You know what mine are. Now we’ve talked about our values. And if I tell you that I value something, and my actions don’t align, then I’m not living those values with you, and I’m not being accountable. Mike Domitrz: Well, and what I love about that is that we’re able to call each other out on that because we do align so much. And no way is it ever hurtful. Because when you have the same values, you understand what that person’s seeking, and you can say it in their language. When you don’t have different values, you can try to be helpful, and actually do harm cause the person is not on the same value as you and they think you’re just being hurtful. What it is, is you’re pushing your value on their system. And they don’t have that value. And suddenly you have conflict versus alignment. Sam Silverstein: Right. That’s why we tend to connect with people who have those similar values. And it’s not about me convincing you that my values are right, or your values are wrong, or this or that. It’s finding out that we actually mesh on those lines, and that’s the problem in life. A lot of times people are trying to put their values on other people. No! These are your values. Live them. Most of the time that people are trying to put values on other people, they’re not even living them themselves. They’re hypocritical. Actually, they’re just downright lying. Because if you say you value something, and you’re not delivering on it, you’re a liar. Period. And nobody wants to hear that, but that’s the way it is. It’s like you see these companies that say we value customer services but then they treat their customers terrible. They don’t value customer service. Maybe they want to value customer service. Maybe they’d like to value customer service, but they don’t value customer service. And so it’s the same with us as individuals. Mike Domitrz: Yeah. I think I’ve … like you said, you and I, we do have different opinions on lots of stuff, and we really align in values. And I have another friend that we’re opposite extremes in like political route. And people will say, “How are you two such good friends?” Because of what you just said. Our values are actually in alignment. What we care about, family, friendship, being there for each other. That’s one aspect, politics. But there’s these other things that align. And what I love is that when you and I are able to have conversations cause we know each other’s values, we can get a little … we can go deep on holding the other one to what they believe, you know? Whether it be our kids, you and I have had very deep conversations about our kids. Sometimes it’s like, so is that the end result you want? And it’s beautiful instead of painful. Sam Silverstein: Well, and so this is where mindfulness comes in, in my opinion. Because the whole idea is, you want to be purposeful around your values. You want to stop and think about what your values are. And you want to see … not only do you want to think about what they are, but what does that mean? And a lot of times we’ll throw words out. Integrity, that’s the most popular one. Well integrity for you may be different from what it means for me. I don’t know. Well what does this mean? What does it mean in my life? And then, how is it showing up? You know, it’s like starting the day with well, I said that I value respect, how did that show up in my life yesterday? How did that show up in my relationship with my wife? How did that show up with my children? How does that show up with my friends, or with my community? And so that … being purposeful, being mindful, being aware. Then all of a sudden it takes that to a whole new level. The people that we admire the most are the ones that have a character that is based on a set of values that are not only great values, but those values are showing up in their life. That doesn’t happen by accident. Mike Domitrz: No, and I love that you discussed this. Let’s go into that. You have an exercise that you have people do to help prioritize, I think it’s their three main values, correct? So that you can really see how you are in alignment in your life. Like what you think is what you’re living for life, versus what reality is. Are they in alignment? Or really is one thing dominating over the other two? Could you share a little bit about how you … what that exercise is? Sam Silverstein: Well, you know, we’ve actually moved beyond that exercise. For one thing, I don’t prioritize values. That’s a word that … and I don’t know that you used that word on purpose or not, but we don’t prioritize values. There is no … if it’s a value, it’s a value. Period. Which means if you have three values, seven values, seventeen values, whatever they are, you’re responsible to live them all. Mike Domitrz: I love that. I love that Sam. Right? Cause we typically get, like I just said, what are the three? But what if I live by ten? Then why do I have to cut [inaudible 00:13:44] ten out? Right. I think that’s brilliant. Sam Silverstein: Well it’s totally up to you, that’s the whole thing. And some people boil it down to this, and some people see it as this, and some people package it like that. And none of that matters. What matters is that you understand what your values are and that you’re living them. And so, I’ve had a lot of times where people say, well, you know, if there’s one value that you never break. No! No! It doesn’t work that way. If they’re your values, you live them, period. If you’re not living your values, they are not your values. And so values are absolute. Now that doesn’t mean we don’t make mistakes. I mean you know, I’ve made mistakes in my life. I’ve made decisions that didn’t align with my values. I didn’t do it purposefully, but I strayed. And maybe you called me on it, or maybe you pointed it out and said, “Wait a second Sam.” And so then, if it’s really my value, I’ve gotta correct the mistake. I’ve gotta make it right. I’ve gotta do it quickly. But you either live the values, and they are yours. Or you’re not living the values and they aren’t yours. There is no gray area here, it’s really absolute. Mike Domitrz: Let’s take it to the family. For a lot of people listening, they’re thinking hmm family values. Traditionally, the parents sat down and said here’s our family values. But that’s not necessarily the family values, because that might not be what the kids value as the family values. And so, is it more of a hey what is every … what is each individual in the family’s values? Like have them write that down. And then say, where do we merge? Those are the family values. Is that how you would evaluate that? Or is it more, do we sit down and discuss what we all want to have as family values? Which … is it a combination of both? Sam Silverstein: The challenge with a family is things change in a family. And the main thing that changes is the age of the children. And as the age of children change, then the relationships between the children and the parents change. Because while your boys are always your boys, and you know, my four kids are always my four kids, it’s a different relationship with a 10 year old than with a 20 year old. And so are your relationships with adolescent children? Or are they relationships with adult children? And so where, you know, two of my children are married, and all four are out in the workplace. They have the, you know, the right and the responsibility to choose their own values in their life. Now, you know, we have tried to … we have given guidance as they’re growing up. Hopefully as responsible parents, and we’ve had … certainly I believe that we have a fingerprint on the values that they’ve chosen. But it’s ultimately up to them to choose those values. Now, in a family setting, then how do those values mesh? And so some of the values, you know, although the core values of my kids I would say are all in alignment, their beliefs aren’t always in alignment. And so they believe a few different things about some topics, and that can get kinda heated from time to time. But when we get back to the values, that’s what hopefully smooths out that situation. Mike Domitrz: And I love that because for those out there thinking, “Geez I have a sibling that we just differ in so many areas.” What if every time you saw them, you put first and foremost in your mind, what’s the value we do align in? So that I can see that in that person, and value that person even more instead of seeing the negative or the conflict or confrontation. And should you have a conversation where they don’t? Sam Silverstein: I don’t work with couples, and so I’m certainly … and I don’t coach couples. And that’s not really the area focus that I go into. But you know, I know you and Karen, and obviously Renee and I, our values are pretty doggone similar. Now that doesn’t mean we believe the same thing about everything. That doesn’t mean we … that our priorities in life are 100% in alignment, I think they’re pretty doggone close. But I know for one thing, that our values are in alignment. And so, it’s hard to be a couple, whether it’s a married couple, whether it’s two friends. It’s hard to have that kind of relationship unless those values are there to begin with, and when you discover that they aren’t there, then in my opinion, you better focus on that. Cause you’re either gonna come to … you’re gonna come to some sort of an agreement. And that agreement is either that you belong together or you don’t. But it’s the values, it’s the values that are gonna be at the core of that relationship. Mike Domitrz: So Sam, when people talk about adding people in their life, who their circle … who their tight circle is. Do you think it’s a valid discussion to have on … look before I add that person to my life, do they have the values that align with me? Now some people will say geez if you only circle the people around you that have similar values, doesn’t mean all the same, but a lot of similar values so you align. Are you not learning from different value systems around there? Or is the counterargument, I don’t need to learn from differing values. That’s not what I value. Sam Silverstein: I find myself in environments with a lot of different people. And so, whether you’re white, or you’re black, or you’re American, or you’re Russian. Whether you’re Christian, you’re Jewish, you’re Hindu, you’re Muslim. Whether you’re tall, whether you’re short, whether you have hair, whether you don’t have hair. Mike Domitrz: For anyone watching the video right now, he is touching his own skull. Sam Silverstein: Yeah. You know, wherever those people are, we look different. We may have different political values. The values are the same. We value people. We value life. We value integrity. We value relationships. We … these are … it’s not about valuing chocolate. I like chocolate! Okay? That’s not a value. That’s just something I like to eat. Mike Domitrz: So I wanna pause. I wanna pause. If somebody really is not in alignment with your values, you don’t want them in your inner circle. And then that’s to keep your values in alignment. That’s like a safe … that’s a good thing right? It keeps conflict, negativity, toxicity, out of your life. Am I gonna hang out with someone that’s racist? No! I’m not hanging out with that individual. Those values don’t align with me. Why would I spend time with that individual? They’re gonna find their own kind. Mike Domitrz: No, no. I know, I know. I get that. But I just … I wanted to get to those values. Cause now you did. Which is, it’s not a difference in people, it’s the difference in values is what I want to focus on. Cause I think a lot of people think, I need diversity in my life. But you don’t need diversity that doesn’t align with your values. Like, why bring toxicity in your life that you don’t need there? Sam Silverstein: Well and it’s not a matter of don’t need. It’s just a matter of, I’m living a set of values in my life in conjunction with you, to be accountable to you. Those values have to … they have to mesh. The challenge though, is the people that say they have certain values, but their actions tell me otherwise. Sam Silverstein: And they don’t even realize that. Mike Domitrz: Correct. And typically, we’ve all been there at some point in our life. And it’s somebody helping us realize it, or something realize it that realigns us back into those values. Or recognize, I need to own that’s not a value. Right? Because it could be that that’s not a value. Sam Silverstein: Right. The conversation that I was having this morning in looking at accountability because I think accountability is under attack right now in our country. When it’s time to vote, do you vote for the party you’ve always voted for even if your values don’t align with the individual that’s representing that party? If you say, “Well I value honesty and integrity.” But you know darn well that the woman or the man, you know whatever, that’s running for that office, whatever that office is, is lying all the time. How can you vote for someone that lies all the time if you value honesty? Aren’t you better off voting for someone of the other party that at least tells the truth? Or is politics more important than values? I mean it really gets deep, Mike. You know that. Mike Domitrz: Yep. The counter argue, I do value honesty, but I value this other value also and this person’s gonna put somebody, this is an example, on the supreme court that will address that value. And so now you have prioritization of values. Right? On how they’re voting. Sam Silverstein: But you can’t do that. That’s the whole thing. You can’t prioritize values. The character of a person is either important to you, or it’s not. And if it’s not, then just stand up and say, “I don’t care if the guy is a liar, cheater, or thief. As long as he believes in building new bridges, I’m for him.” Well then fine. You don’t care about the character of people, well your values and my values don’t align. Just all I’m saying is, be honest about it. Most people are not honest about it. They think they have values in a certain area, when the reality is their actions say blatantly, they do not. Mike that’s harsh, okay? In my opinion that’s harsh. But that’s the way that it is. Sam Silverstein: Well that’s a great question. How to … judgmental. Mike Domitrz: You know, cause mindfulness is the awareness without the judgment. Sam Silverstein: Without the judgment, that’s right. I define nonnegotiable. To me … our character’s made up of certain values that are nonnegotiable in our life. And nonnegotiable to me is a positive standard that respects the rights of others and is absolute. And so it has to be a positive standard. And so I go back to racism, and you know I look at the KKK. They had something they believed and that’s absolute in their life, but it doesn’t respect the rights of others. And so that’s negative. And so I have the right to say that’s negative, their actions are negative. And I’m gonna take that position. And so if you’re not respecting the rights of other people, and if you’re putting other people down, well then that’s a problem. And so I don’t think that … I don’t know that I see that as judgmental on me. It’s just a matter of, you’ve gotta respect other people’s rights. And that to me is being nonjudgmental. It’s saying, “Mike, you have the right to that belief, to that value, as long as it respects the rights of other people.” But when … as soon as you are trying to condemn other people, confine, restrict, and say these people have different rights than those, then that’s a problem against humanity. And someone has to stand up in that situation. We can’t just sit around and let that happen. Mike Domitrz: No I love what you just clarified there, because it’s very much like free speech right? We don’t really have free speech, cause the moment our speech impedes on the freedom of others, we don’t have it. Like in other words, that’s why you can’t jump up in a theater and yell fire. Cause it puts other’s lives in danger at that point. It’s why you cannot make certain threats against a leader of the united states, for the exact same reason. I think that’s an awesome clarification there, Sam. And you mentioned nonnegotiable, so let’s go there because you wrote an awesome book about this. So tell everybody about the book. Sam Silverstein: Oh the book is titled, Nonnegotiable. Thanks Mike. It’s based on a case study of a bank out of Amarillo, Texas. It went from one location and 10 million in assets, to over 35 locations and over 3 billion in assets. And it’s a bank. You know, all banks take in deposits. All banks make loans. A 20 dollar bill at your bank is the same as mine. What makes this bank special? What makes this bank a bank that stock value never went down in the last 27 years? Well, it’s because they have build a foundation of a set of values that they make all their decision through, and those values are nonnegotiable. Period. And those nonnegotiable values respect the rights of people. Values are all about people. Values are not about things. See we’re back to people. It’s a way of thinking. It’s really a spiritual place to be, and that has separated them from their competition in such a way that they do absolutely amazing even in the worst of economic times. And so in the book we talk about what their 20 nonnegotiable values are, and they have 20 of them. And how they step ‘em out, and how they live ‘em. And then through that process, we show how you can take that into your life and create your own values, your own non negotiables. Either personally, or organizationally, and step it out for yourself. Mike Domitrz: And for anyone watching or listening right now, we’ll have that in the show notes at everdaymindfulness.com. A link to the book, tell you all the information, great stuff. So that’s why I wanted to make sure that people found out about that, Sam. That is fantastic. Sam Silverstein: I appreciate that. Mike Domitrz: Absolutely. With everything we’ve discussed, Sam, what is the biggest misconception you think people might still have about accountability in their own lives? Sam Silverstein: I still think people see accountability as punitive, as punishment. You know, I gotta be accountable. I think yes, if you make a mistake, you say, “Hey I made the mistake. I’ll fix it.” That’s responsibility. That’s honesty. That’s integrity. To me, accountability is proactive. Accountability is taking the time to figure out what those values are, and then living those values in a meaningful relationship. I see accountability as something that is moving, that is beautiful. It adds warmth to life. I think it’s one of the greatest things out there. And I think that when we live a life of mindfulness, that when we’re aware of what it is that we truly believe and value in our life, then we put that stake in the ground. And we say that I’m gonna live it. Period. Regardless. No matter what! Whether it cost me money or not, I’m living that value because I believe that’s the right things to do. When we move ourselves in that place, then I think that the quality of our life is enhanced greatly. And I think that what happens and what comes back to us at that point is beyond measure. Mike Domitrz: Love it. Love it. Sam, outside of your … in addition to, I should say, your own books. A favorite book of yours? Sam Silverstein: Oh. Favorite book. Mike Domitrz: And for anybody listening or watching right now, Sam and I share a lot about books. Like what are you reading? What you … and we end up reading what the other one just read, so I’m as excited to hear this answer as anybody listening right now. Sam Silverstein: My favorite book’s The Torah. That, to me, has got it all. And everything else that’s been written has pulled from it in one form or fashion, and that’s always gonna be … that’s gonna be the bedrock. That’s gonna be my standard. That’s gonna be my favorite book. Now there’s other things that we read over the years that cause you to think, and I think that that’s great. But you asked, that’s my favorite book. Mike Domitrz: Well thank you so much for joining me, Sam. You know how much I love you. Sam Silverstein: Well I appreciate you, Mike. You know I love you too, and the honor of being on the show, and being able to share some ideas that can impact people‘s lives is immense. And I appreciate you greatly. Mike Domitrz: Thank you. And for everyone listening right now, remember you can go to everydaymindfulnesshow.com. Learn all about Sam. Find his book. Really dig in. If you’re with an organization, and you want to bring Sam in, you’ll find the links to his website to be able to do that. And for everyone listening, thanks for joining us. We hope you’re subscribing to the show so you get it every week, sharing it with others. May you make today, and every day, a mindfulness day. Three quick reminders. One, please subscribe to the Everyday Mindfulness Show on iTunes. Already subscribed? Then encourage others to join us by inviting them to subscribe to the show. Two, while on iTunes, download all the latest episodes. Three, reviews help more people find out about the show. Will you please go on to iTunes and write a review? Doing so helps spread the mission of the show. Thanks. Thank You: We appreciate you being a part of our vibrant, oftentimes silly, and always vulnerable community. If you have an idea, a thought, want to sponsor the show, or just want to say hi, send us an email at listen@everydaymindfulnessshow.com. And check us out at everydaymindfulnessshow.com. Have a joyful, mindful, week. 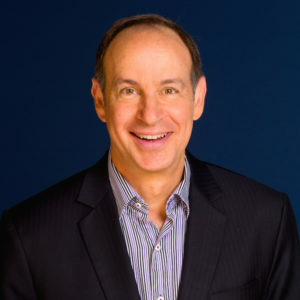 Sam Silverstein is dedicated to empowering people to live accountable lives, transform the way they do business, and create a more accountable world. He helps companies create an organizational culture that prioritizes and inspires accountability. As a former executive and owner, Sam’s manufacturing and distribution companies sold over $100 million in products and services. He successfully sold one of his businesses to a Fortune 500 company. Today, Sam writes, speaks and consults with such companies, inspiring and challenging their people to think differently to achieve a better result. The “Can I Kiss You?” Book & Instructor’s Guide from DateSafeProject.org. 066: Work Life Balance – Is it a Myth?